Glow in the dark paint. Can be as versatile as stirring into Elmer’s Glue, or even Automotive Paint. Mixes with any “sticky” medium. 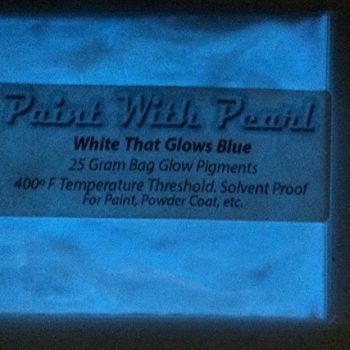 Use our Glow In the Dark Paint Pigments to create amazing effects when the lights go out! 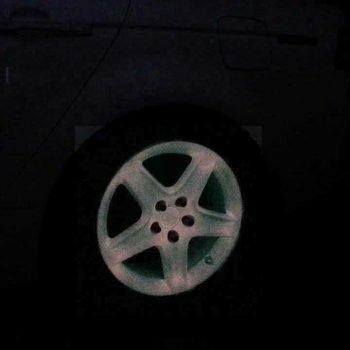 You can make cars glow in the dark, or make your airbrush art pop out at night. We have people using them for all kinds of projects, as you can see by the glow in the dark wood grain on the image above. 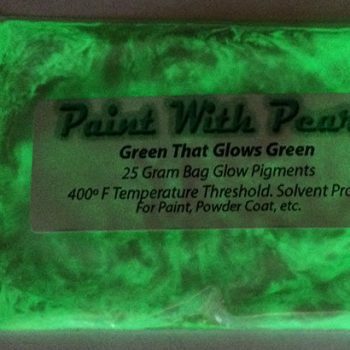 Our glow in the dark paint pigments can be mixed into many different mediums and are solvent resistant. They can glow for up to 7 hours after being charged in the sunlight. 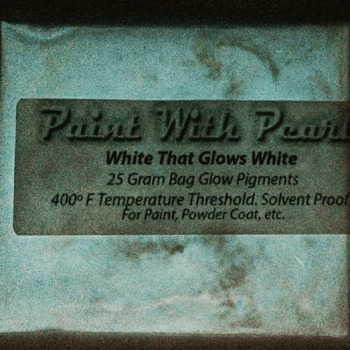 Our most expensive glow pigment, the white to white glow, has the longest and strongest glow time of any pigment you will find on the market. They can be used in concrete sealer, fiberglass, nail polish, automotive paint, and so many other mediums. They are a heavier than normal pigment and should be agitated while spraying. Many old school painters use a siphon feed spray gun and actually add marbles to the hopper in order to keep this pigment agitated enough and prevent it from settling to the bottom of the hopper. 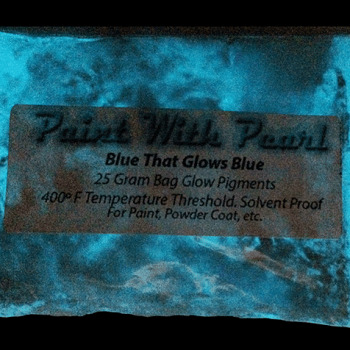 We have multiple colors of glow pigments available, so feel free to browse this section to find the one that best suits your needs. 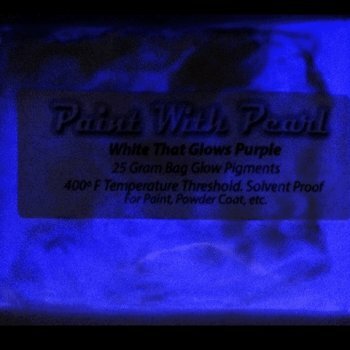 Find out what Glow in the Dark Paint Pigments can look like by clicking HERE for a Google image search. You will notice that the glow pigments can stand out much better when you use them as a graphical addition to your existing paint. Many people ask about painting their entire car with it, but it can be more fun to make your graphics pop out at night by painting stripes, skulls, or even the legendary Tron Car. Glowing wheels can also be a fun effect. 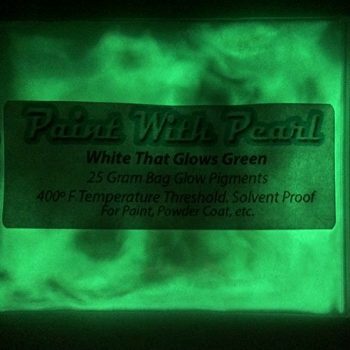 Try our glow in the dark pigment to add some amazing detail to your next custom paint job.